Be sure and check out Finley’s Photostream for pictures of the Leeds Castle Peacocks, as well as views of the Castle from the front! 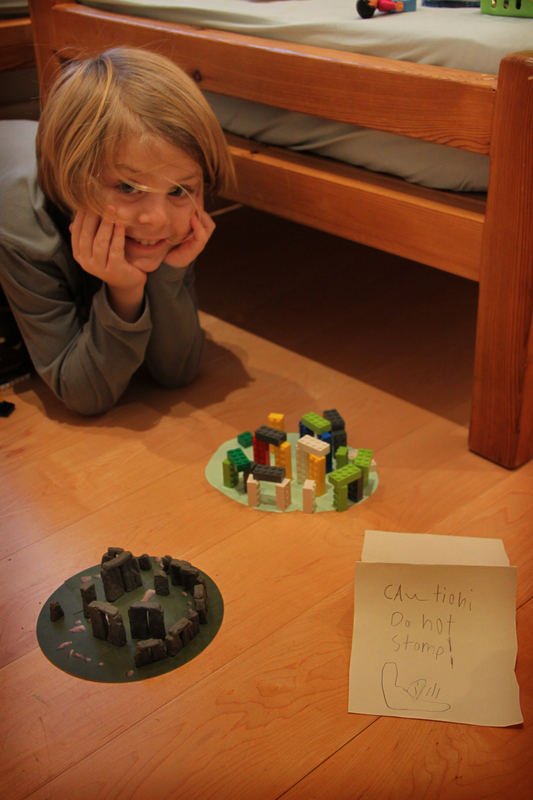 Eli’s Stonehenge obsession. One store-bought, one home-brewed.